It’s been a while since the round table convened, but with the NHL season just around the corner, it will become a regular meeting place for THW’s Toronto Maple Leafs coverage team to get together and talk about the major discussion points surrounding the team. With that in mind, the Maple Leafs Round Table is back with some bold predictions heading into the 2018-19 season that include Andreas Johnsson, Mike Babcock and what we should consider a successful year for the Leafs. With more, Peter Ferrell, Jose Guzman and Brett Slawson join the table to discuss what they expect from the upcoming season. Forbes: Maple Leafs Crack Eastern Conference Final? In 2016-17 it was six games with a one-goal difference that knocked the Maple Leafs out of the NHL playoffs. That included five overtime games and one that even lasted into a second overtime period against the Washington Capitals. People were impressed with how they held their own. In 2017-18 it was a back-and-forth goal-fest with divisional rivals – the Boston Bruins – that eventually ended in a comeback victory for the Bruins in Game 7. Questions started to float around again surrounding the Maple Leafs defensive zone coverage and what they will do to take the next step in 2018-19. 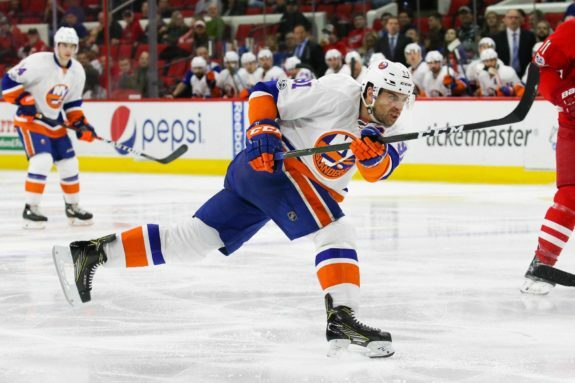 Enter John Tavares. More offence is bound to create more opportunity for the team, right? Sure. While I’ve already talked about how the Maple Leafs will need a legitimate number one defenceman to finally win a Stanley Cup, it doesn’t mean they can’t have some further success when it comes to the NHL playoffs. That’s why – with the addition of Tavares – the Maple Leafs will crack the Eastern Conference Final in 2018-19. To do that, the Maple Leafs will be looking for three things in particular. Firstly, another great year from Frederik Andersen. Andersen posted a .918 save percentage and 2.81 goals against average while facing the most shots of anyone in the NHL last season and making the most saves of anyone in the NHL last season. He finished fourth in Vezina voting – which came as a surprise to some. Secondly, the Leafs will have to find a way to get past the elite in the Eastern Conference. The Lightning. The Penguins. The Capitals. And to some extent the Bruins. The Maple Leafs have to find a way to beat these teams when it matters most. If that means getting home ice in the playoffs, then that’s what they need to do. Finally, they need a little luck. Good teams often have luck on their side as well. They need to stay healthy, get some great performances from key players and show that they have finally shed the title of pretender. While they still might not be Stanley Cup contenders, expect them to take the next step (or two) come playoff time and find their way into the Eastern Conference Final. Slawson: Andreas Johnsson for Calder? Andreas Johnsson loves to fight in the face of overwhelming odds – it’s something that the native of Gävle, Sweden has become accustomed to. Long undervalued due to his meagre size on the ice, Johnsson has battled relentlessly throughout his career to establish himself as a prominent player and one capable of competing against world class forms on a nightly basis. Now entering into his third full season of professional play in North America, Johnsson stands ready to ascend to the NHL-level – a transition which will afford the diminutive yet highly-skilled winger with yet another opportunity to prove himself as one of the game’s best. Fortunately for Johnsson, his impending germination within the Maple Leafs’ roster this coming season will be aided by his incredible, if not sensational play over the past few years. 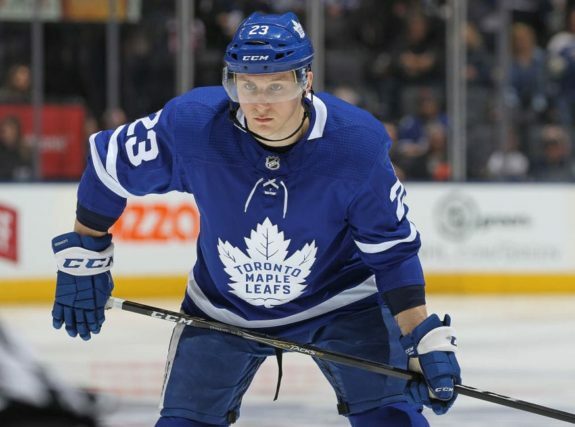 Since being named the Swedish Hockey League’s Rookie of the Year in 2013-14, Johnsson has captured an SHL Championship with Frolunda HC as well as a Calder Cup with the Toronto Marlies. Amplifying the young Swede’s aura was his torrent play for the Marlies when it mattered the most, as Johnsson led his team forward on the strength of ten goals and 24 points in just 16 Calder Cup playoff contests – an output which earned Johnsson the Jack A. Butterfield Trophy as the AHL’s playoff MVP and cemented the promising prospect as an individual ready to dominate the NHL. Considering his proven production and gleaming potential as an NHL prospect, expect Johnsson to challenge the likes of Rasmus Dahlin, Elias Peterson and Eeli Tolvanen for the Calder Trophy this coming campaign. In fact, expect him to win the award. Projected to play alongside Nazem Kadri and Kasperi Kapanen on Toronto’s third line, Johnsson will be afforded with ample playing time in his rookie season and will surely draw minutes on the Leafs’ second power play unit as well. 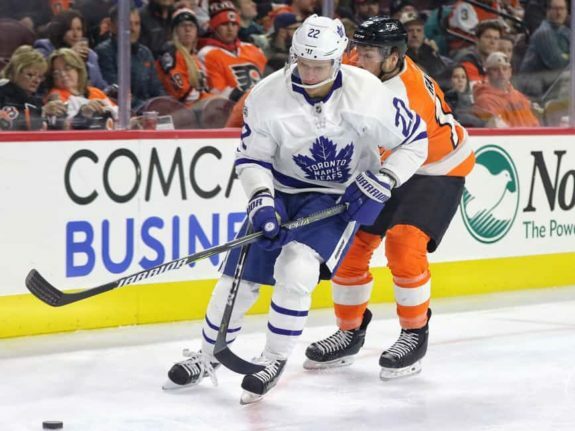 Placed in a position to succeed by head coach Mike Babcock, Johnsson will play a critical role in Toronto’s offence – the youngster will come to be counted upon to supplement his team’s attack as a depth player while also providing crucial and timely scoring. Although it could take a 60-plus point season from Johnsson to pry the Calder Trophy from the hands of Dahlin, the youngster has proven himself capable of defying monumental odds time and time again. If afforded the opportunity to shine for the Maple Leafs in 2018-19, expect Johnsson to once again leave his critics and doubters in his dust. Guzman: Dermott Climbing the Ranks? There were a lot of pleasant surprises on the Maple Leafs last season. 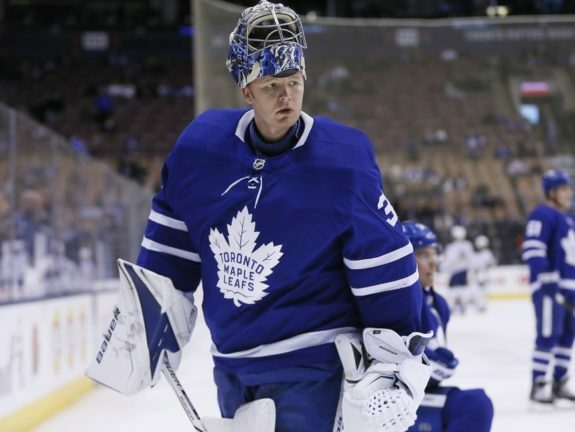 Andersen can handle an insane, almost superhuman workload (although he probably shouldn’t). Marner can carry the team offensively more times than not and 21-year-old Travis Dermott looks like a good, fast skating and highly-skilled defensive player. He is ready for the big time. In fact, Dermott looks so good, he could compete for a spot on the Maple Leafs second defensive pairing this season. Although, if that does happen, who would he knock off from their current spot – Gardiner or Zaitsev? The answer isn’t exactly clear at first. Zaitsev is a right-shooting defenceman, whereas Gardiner and Dermott both shoot left. Maybe the prayers of Maple Leafs’ fans of getting Gardiner off the ice (or at least his ice-time reduced) will finally come true and Dermott and Zaitsev can play together. But that isn’t likely to happen. Gardiner is coming off a career-high 52 points last season. Despite his dismal performance in Game 7 against the Bruins, he has improved in his defensive play and back-checking throughout his six-year career with the Leafs – finishing the year with a plus-nine last season. Gardiner is also a player the Maple Leafs are actively negotiating with hopes of re-signing. He is an unrestricted free agent (UFA) next summer and Kyle Dubas will make it a priority to lock him up. He’s a leader on the team and will not be bumped from his top two pairing spot. Sorry Travis, or should we say Nikita? Zaitsev struggled with injuries and form last season. He missed over 20 games, most due to a broken foot he sustained when blocking a shot in December. After his return in February his play looked understandably laboured. He’s currently signed to a seven-year deal that carries and annual average value (AAV) of $4.5 million that was signed last summer, but had just 13 points after a stellar 36 in his first season with the Maple Leafs. 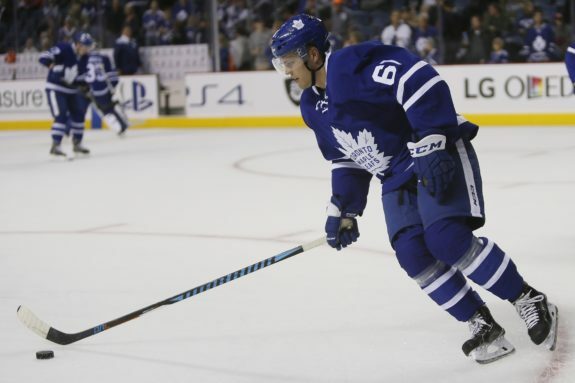 He is expected to be a key player on the team after the commitment and if his form from his rookie season doesn’t return, Dermott will definitely be up to replacing him on the second pairing. The added benefit of having Gardiner and Dermott together, although both left-shooting defensemen is that they are both agile, fast and can create plays for scoring opportunities. Dermott – like Zaitsev – had just 13 points last season, but he played 23 fewer games than his Russian counterpart. On top of that, Dermott was a plus-16 compared to Zaitsev’s plus-eight rating. For Dermott, he’s fast and can get by opposing players. He has crisp passes and can create plays that start in the defensive zone. He makes things happen. He can be the playmaker while Gardiner will shoot or pass to a forward adding to his already 50-plus point pedigree. Maybe Zaitsev will end up with Rielly on the first pairing and recapture his form from his rookie season. After all, his career-high numbers were mostly from his time on the first pairing with Rielly in 2016-17. But one can’t forget about 37-year-old Ron Hainsey. Could he possibly benefit from a reduced mentorship-style role to Connor Carrick or possibly KHL-signing Igor Ozhiganov on the bottom pairing? He could still be a reliable piece on special teams. Suddenly the Maple Leafs defence doesn’t look so bad. Ferrell: Mike Babcock Feeling the Heat? My bold prediction for the Maple Leafs this coming season is that Babcock will spend some time on the hot seat. This is not to say I predict he’ll be fired, not in the least. 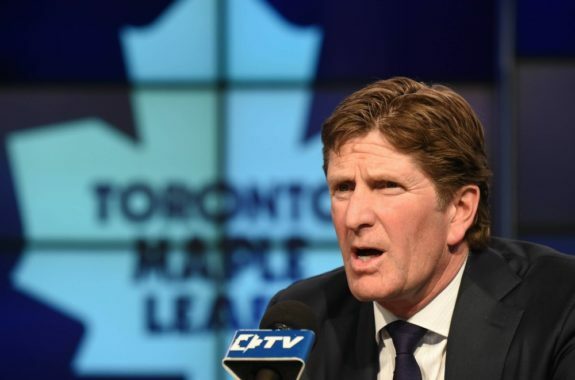 However, given that Babcock’s now in the fourth year of the eight-year contract he signed in 2015, combined with a mounting list of head-scratching decisions, the honeymoon period should decidedly be over. Perhaps the most perplexing part of Babcock’s Toronto tenure has been his personnel management. He’s displayed a constant, stubborn refusal to ice his best lineup – and the best lines within it. Another issue is Babcock’s tendency to latch onto certain players and play them relentlessly, to the detriment of others’ ice time – and, often, the team as a whole. Take Ron Hainsey, who, at nearly 37 years of age and coming off a run to the Stanley Cup Final with the Penguins in 2016-17 averaged the third-most ice time on the Maple Leafs last season. Playing on the Maple Leafs’ de facto top pairing, Hainsey also logged the most shorthanded ice time of anyone on Toronto – outpacing the next closest skater by over a minute per game and often staying out the entirety of a penalty kill. The excessive minutes – and hard minutes – took their toll on the veteran, with his play noticeably declining as the season progressed. Or how about Leo Komarov, the lovable utility forward whose declining foot speed and utter lack of offensive finish didn’t stop Babcock from allowing him to take ice time and a lineup spot away from others who could do his job better. And then there’s goaltender Frederik Andersen, who started 66 games in 2017-18 – the same amount as the previous year. This, despite the fact Andersen looked tired at times in 2016-17, having never started more than 53 games. This, despite the fact contemporary wisdom recommends against leaning so heavily on a single goaltender in today’s NHL. This, despite backup Curtis McElhinney having the season of his career posting a .934 save percentage and three shutouts in 15 starts. Andersen clearly wore down during both campaigns, following up solid but inconsistent regular seasons with pretty pedestrian playoffs. He certainly played a big part in the Maple Leafs’ collapse against the Boston Bruins this past spring in Game 7 of their first-round series. You get the picture. Babcock picks his horses, seeming at random, and proceeds to ride them into the ground no matter the effects on the team. This tendency, when combined with the incessant lineup tweaks, exhausting line-matching and inscrutable lesson-teaching, certainly grates on Maple Leafs fans and observers alike. If Matthews is beginning to tire of Babcock’s act, it stands to reason other Maple Leafs players feel similarly. Certainly, Babcock does come with some baggage in this regard, with his previous gigs with the Anaheim Ducks and Detroit Red Wings being marked by some curious transactions – or lack thereof. 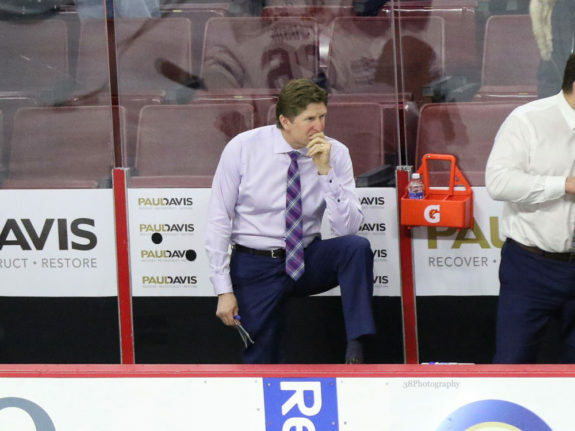 Even some former players suggest Babcock’s methods wear quite thin after a while. No one can question Babcock’s resume – his longevity and impressive collection of hardware are proof he’s more than capable behind the bench. However, it’s also reasonable to suggest said resume appears to be accompanied by a rather large ego – one which, at times, can obscure his judgement. If Babcock’s grand strategy falters again this season, look for Leafs Nation to be calling for his head. Do you have thoughts on what to expect this season? Be sure to share your predictions or thoughts on ours by commenting below – otherwise, tune in next time for more Leafs talk with the Maple Leafs Round Table.